In addition to the following items, David writes a regular column for YES! Magazine and contributes articles to other magazines and online publications. 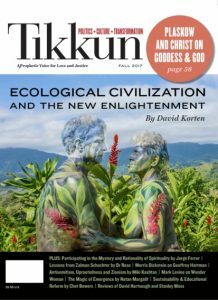 Originally published by Tikkun Magazine as the cover story for the Fall 2017 issue. During the past century, we humans have become a truly global species with both the ability and the imperative to choose our common future by conscious collective choice. Growth in our numbers and the destructive power of our economic and military weapons of mass destruction creates the necessity; advances in communication technology that link us into seamless web of global communications and in biological and ecological sciences that deepen our understanding of what life is and how it organizes give us the means. Contrary to the illusion, money is not in itself wealth. No matter how big the financial-asset numbers recorded on computer hard drives stored in bank vaults, those numbers will not, and cannot, save human society from the unfolding social and environmental collapse driven by our obsessive quest for money. Once we recognize that it is our life energy at play, we can begin to identify the opportunities available to us to redirect that energy from serving money, and the suicide economy, to serving life and the living Earth economy. In a series of articles/letters, David weighs in on TPP, Fast-Track, corporate control, and the implications for our environment, local business, American workers, and our democracy. These articles can be found HERE, including links to those published by YES! Magazine. How can we distinguish true new paradigm development from marginal adjustments in the old paradigm system? Written as a member of the New Development Paradigm Working Group appointed by the King of Bhutan as a contribution to a report requested by the United Nations. Co-authored with John Cavanagh, this New Economy Working Group report identifies the systemic causes of the jobs crisis and outlines a program of corrective action to shift power from Wall Street to Main Street, rebuild the middle class, and unleash America’s entrepreneurial potential. This New Economy Working Group report, for which I am the primary author, makes the case that the institutional structure of the system by which money is created and allocated determines whether America is governed as a democracy or an oligarchy. It presents a series of proposals to create a money/banking/finance system that is transparent and democratically accountable. The Occupy Movement focuses attention on the systemic source of economic failure and creates a space for a much needed, but neglected national conversation about the need to restructure our economic institutions. This collection of 34 blogs serializes and updates the key arguments presented in the 2nd edition of Agenda for a New Economy. It was produced as a partnership between YES! Magazine and CSRWire. This is an invited contribution to a Club of Rome initiative to update and gain political traction for it’s effort to advance global understanding of and response to the conflict between Earth’s physical limits and perpetual economick expansion. The 2010 election demonstrated that neither the Republican nor Democratic Parties has a credible vision for our economic future and that creates a moment of opportunity. Banks should be banks in the business of providing savings and investment services. Leave the gambling and book making to Vegas. Justice begins with restoring the producitive resources we have expropriate from the poor to their control for their benefit. Giving public handouts to bankers is a fools errand. Use the money to put people to work meeting real needs. Wall Street thrives and Main Street struggles because policy makers don’t recognize the difference between a phantom wealth economy and a real wealth economy. The Afghanistan War is not the same as Vietnam War. We have even less prospect of success in Afghanistan. How Does an Earth Community Economy Differ from an Empire Economy? The article spells out how the purpose and structure of an Earth Community economy differs from the purpose and structure of an Empire Economy. 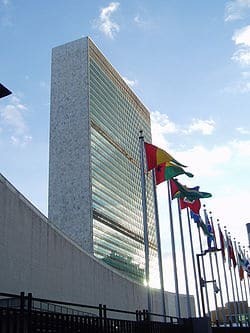 This article was published in the NGO daily newsletter “Outreach Issues” at the May 2009 meeting of the UN Commission on Sustainable Development. YES!, Winter 2009 issue on “Happiness.” Outlines an essential five-part policy framework to facilitate the work of responsible businesses, investors, civic organizations, and local governments engaged in growing a 21st century economy from the bottom up. PDF. See also the new YES! magazine web page featuring a number of YES! 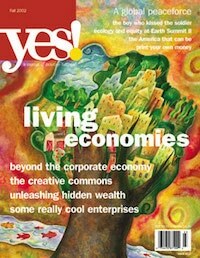 articles on the New Economy. YES! magazine is planning to devote its Summer 2009 issue to this theme. Tikkun, November-December 2008 cover story. This article is explicitly addressed to President-elect Obama and includes my high dream for the economic address to the nation he hopes President Obama might deliver soon after his inauguration. YES!, Fall 2008 issue on “Purple America.” We’re taught that ruthless competition and fear are the natural state of humanity. New science shows we evolved to cooperate, and that opens up possibilities for a whole new way of organizing our economies and our politics. The U.S. faces no conventional military security threat and the use of conventional military force to address unconventional military threats like terrorism is counterproductive. Our real security threats are social and environmental. A smart security policy would dismantle the machinery of war and reallocate those resources to meeting real needs. Expanded version of a presentation to the Summit on the Future of the Corporation, in historic Faneuil Hall, Boston, November 13, 2007. There is a distinction between private benefit corporations chartered solely to serve purely private interests and public benefit corporations chartered to serve a larger public purpose. Most private benefit corporations are devoted to increasing aggregate consumption and inequality in a world facing the imperative to reduce both. The only reason for government to issue a corporate charter granting special privileges to a group of private investors is to serve a public purpose. YES! magazine, Fall 2007 issue on “Stand Up to Corporate Power. Taming corporate power is essential, but insufficient to heal our relationships with one another and Earth. We need a new prosperity story that gives priority to investing in the living wealth of healthy children, families, and communities and recognizes the essential role of government in maintaining the essential conditions of socially efficient markets, in particular the need for an equitable distribution of income and ownership. An interview by Arnie Cooper in The Sun magazine, September 2007 on “Putting An End to Global Competition.” It is the story of how I came to write The Great Turning From Empire to Earth Community and my thoughts on the path ahead. YES! magazine, Summer 2006 issue on “5,000 Years of Empire.” Humanity faces a choice between two contrasting models for organizing human affairs. How we choose will determine our future course. It is a summary of key themes from my book of the same name and comes with a companion discussion guide to facilitate a group discussion. Interview in Lilipoh: The Spirit in Life magazine #35, Spring 2004 dealing with what I believe is is required for human societies to move beyond the self-limiting violence of 5,000 years of Empire. This paper builds on the foundation of the IFG report Alternatives to Economic Globalization to place the discourse on globalization in a larger historical context, update the IFG analysis and recommendations to address the implications of the consolidation of right-wing extremism post-September 11, and suggest a strategic framework for global civil society in the work ahead. This paper launched the writing of The Great Turning: From Empire to Earth Community and framed its themes. YES! A Journal of Positive Futures, Fall 2002. This is the lead article for a landmark YES! issue on “Living Economies.” Across America and throughout the world people are rising to the challenge of creating local living economies based on human-scale locally owned and accountable enterprises. This work is the key to democracy, equity, sustainability, and a better life for all. Worse Off Today Than Before? Ethix Bulletin, 25, September-October 2002 Interview. Ethix Bulletin is written for top level corporate executives by a professor of business ethics and a former top executive of the Boeing corporation. The interview explores and tests the thesis that the institution of the publicly traded corporation bears major responsibility for downward social and environmental trends. My reflections on the state of the global movement in March 2002 in the aftermath of the 9/11 terrorist attack as the focus turned from resistance against corporate globalization to capturing the positive in building positive alternatives from the bottom up. It was a period when the local living economies framing was beginning to gain traction. I was a presenter at the Funders Network on Trade and Globalization (now known as EDGE Funders Alliance) briefing on corporate globalization on December 11 – 13, 2001 at the Tides Center in San Francisco, CA. The Environmental Grantmakers Association published “It’s About Democracy,” These are my reflections on the meeting and its implications for donor funding strategies as published in its quarterly newsletter, EGA Updates. Subsequently, I responded to follow-up questions from representatives of a private foundation. Tikkun, March/April 2001, pp. 71-74. Review of George Soros, Open Society: Reforming Global Capitalism, (Public Affairs, 2000). Summarizes Soros’ excellent critique of financial capitalism, but argues that his solutions fall far short of his analysis and would serve largely to keep the world safe for financial speculators at the public expense. Within a few days of the publication of this article, I was privileged to participate in a private all day meeting with Soros and members of the International Forum on Globalization for a wide ranging discussion. I gave him a copy of the review, which he had not yet seen. He was most gracious about my critical perspective. Whatever one may think of his role in the world of speculative finance, he has an inquiring mind and a gracious manner. Published in Marianne Williamson (ed. ), Imagine: What America Could Be in the 21st Century (2000). Two contrasting scenarios of 2050 futures: one a world of sharply contrasting class division lives under America’s corporate world order and the other a world of democratic peace, justice for all, and a sustainable environmental balance. 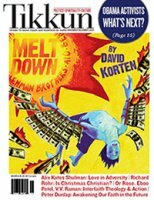 Tikkun, January/February 2000. Explores the relationship between the new Creation story, ala Thomas Berry, translates into a new politics and a new economics. Tikkun, Vol. 14, No. 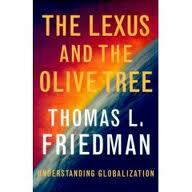 4, May-June 1999. Review of Thomas L. Friedman, The Lexus and the Olive Tree, (Farrar, Straus and Giroux, Inc., 1999). Friedman is perhaps the foremost spokesperson of the position that corporate globalization is both inevitable and universally beneficial. This blistering review uses Friedman’s own words to expose the extent to which his arguments are intellectually flawed and ethically challenged. YES! A Journal of Positive Futures, Spring 1999. To create economies that serve life rather than money, we must base the design of our economic institutions on principles derived from the study of healthy living systems. Business Ethics, January/February 1999. They call it investment. It is speculation. It is running out of control and destroying real wealth. Early in my effort to understand the dynamics and failings of the global development system, I was invited by the editors of the World Policy Journal to write a review of the current literature on sustainable development. The result was a comprehensive and carefully argued critique of contemporary economic theory and practice as it relates to issues of development and the environment. Reading this article twenty years later I am struck by how current the arguments remain and the extent to which most of my life since has been devoted to expanding and popularizing the critique and recommendations spelled out here so many years ago when. On the upside, the underlying framework is now well understood and accepted by a great many citizen activists. On the downside, it still remains to gain consequential traction among policy makers—the vast majority of whom cling to failed ideas that as this article cites were exposed by leading critics to be dangerously flawed more than 20 years ago. This is a PDF version of Chapter 10 from my book Getting to the 21st Century published in 1990. It summarizes a framework for categorizing three generations of NGO strategy I spelled out in a defining article titled “Third Generation NGO Strategies: A Key to People-centered Development” published in a special Fall 1997 issue of the World Development journal. It then adds a fourth generation strategy to provide a framework for placing NGO strategies on a continuum of sophistication from first generation relief and welfare interventions that provide temporary relief from lack of access to adequate food, shelter, and medical care to social movement building strategies that seek to transform the upstream societal beliefs and institutional structures responsible for the down stream suffering the first generation NGOs interventions at best alleviate only temporarily. This was my first serious look at the dynamics of social movements and the implications, from a management perspective, for civil society organizations devoted to societal transformation through the facilitation of social movements. This framework continues to be foundational to my thinking about large-scale change strategies. This is a classic in the development and social learning literatures. Published in 1980 in the Public Administration Review, this article contrasts the top-down blueprint planning and management approach of most foreign funded development aid projects with the bottom-up social learning, organizational capacity building approach common to development initiatives that have demonstrable and sustained positive impact on the lives of the poor. Up until the publication of When Corporations Rule the World in 1995, it remained the publication for which I was best known internationally. This article appeared in the September 1962 issue of The Journal of Conflict Resolution. It was subsequently reprinted in Cartwright and Zander, Group Dynamics, an anthology that at the time was used as the standard reader in college courses in group dynamics. This piece represents an early example of the interplay between book learning and learning from real world experience that came to characterize my career. It was inspired by my two month visit to Indonesia in the summer of 1961 during the authoritarian rule of President Sukarno. I was fascinated by the psychological dynamics behind the collective decision of a people to accept or reject authoritarian rule. I include this article here because of its relevance to our contemporary U.S. experience as elements of the far right mobilize mobs through lies and fear tactics to disrupt open democratic processes. It was my first publication in a professional journal.